Which destinations around the world are leading in sustainability performance and reputation? We asked our destination sustainability expert panel to name the sustainable tourism champions and rising stars to keep an eye on. Judging by the panel’s answers (in alphabetical order, below), Costa Rica, Slovenia, Botswana parts of Mexico and New Zealand are the destinations best known for their sustainability commitment. No destination is perfect, of course, and Richard Butler in his answer rightly points out that a “sustainable” destination would have to be one which does not require air travel in particular. Yet, hoping for ideal scenarios is a luxury as tourism is growing very fast, with more pressure on communities and natural environments than ever before. 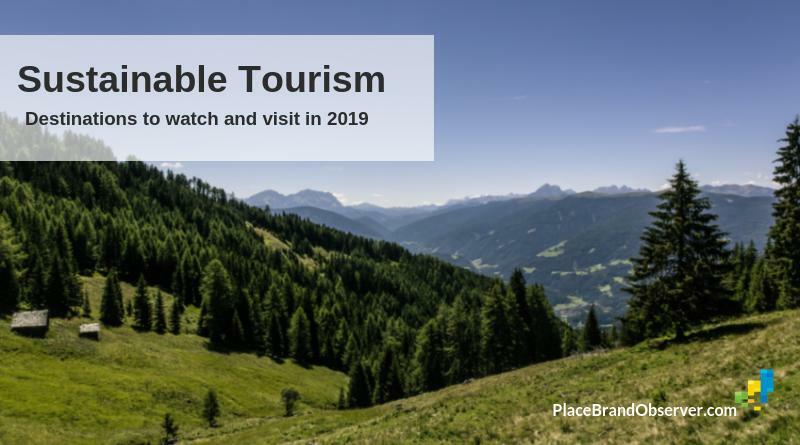 The destinations mentioned by the panel show us how a more sustainable tourism is possible, and how a focus on sustainability over time can lead to favourable perceptions and a positive reputation. Hopefully, over time we will be able to visit and tell the stories of most of those destinations. Which destinations are leading in sustainability? Antarctica – is protected by a treaty that protects the continent over and above the needs of any visitors. Costa Rica – still held up as an example of how an entire country can dedicate itself to preservation and sustainable, happy livelihoods. Svalbard – a fragile high arctic environment which is being protected in harmony with cultural heritage and local livelihoods. Scottish Highlands – one of the best regions I’ve ever come across for really committing to a holistic approach to sustainability of the wild places, and turning it into its own biggest marker for integrity and reputation. Deramokot Reserve, Borneo – a small beautiful forest reserve in Sabah that is allowing tourism in, but keeping wildlife protection uppermost. Nowhere that relies on long haul travel for a significant share of its visitor numbers for a start, however sustainable their onsite operation may be. Thus, places that are close to their market, that can be reached by mass transport and which operate in a sustainable manner. Does not leave many other than smallish hotels and resorts in or close to major population centres. This would eliminate anywhere that receives most visitors by air or private car before anything else is considered, if we are really serious about sustainability. Sustainability is an evolving state not a permanent one. I do not think we can say that a given destination IS sustainable. A destination could be doing great work to sustain itself, could be implementing outstanding sustainability practices, could be delivering good social impacts while protecting the environment, but all have challenges to overcome. Get to know our destination sustainability panel here.